Over the past few years, it’s become clear that software sits at the heart of many digital transformation efforts and that CIOs in leading organisations are apportioning a greater percentage of their discretionary spending on applications. In parallel it seems that investments on physical, on-premise, infrastructure are on the wane – with many companies looking to harness the power of scalable platforms such as AWS coupled with a range of other ‘XaaS’ capabilities. Aside from some of cost efficiencies that these new models bring (eventually) they also deliver speed and the ability to flexibly spin-up and ramp-down as dynamic business needs dictate. Our needs and wants as consumers, in our private lives, are also quickly permeating into our professional lives. Our expectations are that business applications should work as easily as the ones we use at home; Amazon, Uber, Just Eat. When they don’t, we get frustrated. We don’t care that it’s harder to achieve – let’s face facts here, it’s what we want and we’ll not be happy until we get it. It’s hugely important that these themes percolate through the layers of the business and all of the varied functional areas in order to achieve tangible results and noticeable change. This is driven by the work of Information Technology, the function with the potential to deliver the most value in this new ‘customer-obsessed’ paradigm. IT has the capacity to deliver value that cuts across departmental and geographical boundaries – unlike many other functions. IT is uniquely placed to lead the charge with the CIO front and centre. All of these are designed to deliver value, velocity and quality outcomes for business and the customers they serve. One of the first battle-lines is to bring transformational efficiency to the technology core – it is not enough to put digital lipstick on an analogue beast. This would bring short-lived benefits of the superficial kind. The core is the keystone to future success and brings with it the ability to take advantage of powerful, next-generation technologies, such as; Big Data, BI and Analytics, IoT, Blockchain and the much-talked-about area of Artificial Intelligence. Secondly, CIOs must architect resilient digital capabilities, taking advantage of the emerging platform economy. This exciting new area gives rise to the possibility of using large, enterprise solutions (such as SAP and Oracle) at the centre and combined with nexus of solutions (such as Workday for HR) and other democratised services available in the cloud. This brings an end to the reliance on monolithic applications (that do everything) and ushers in an era of flexibility and limitless choice provided that the complexity of having a broader ecosystem of partners, myriad integration points and the security and risks that come along with that are managed effectively. The final aspect that CIOs have to master is the creation of dynamic, agile capabilities that spur high-performance and innovation; not just within IT but across the whole business. This relies on CIOs fostering a quality at speed culture and finding people with the skills and attributes to help along the way. Every sinew of the IT department should be geared towards forward momentum with dramatically reduced waste – expenditure should be optimised, rationalised and reapportioned to reflect this and to support innovative ideas that help to notch the speed up further. 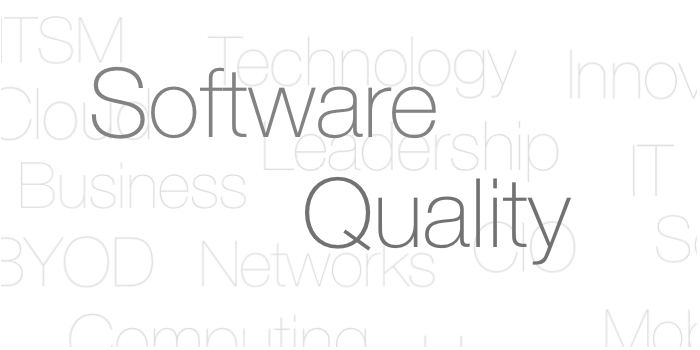 At ROQ we’ve long thought that, given the primacy of software in the digital era, its quality is a strategic imperative. It is not enough for code to be written – it has to work, as intended, first time around. Software QA and Testing professionals become an extremely important part of the CIOs ‘quality at speed’ equation because they rigorously review the way applications function and perform – delivering error free products that meet dynamic customer needs and expectations. Increasingly, new modes of delivery such as Agile and DevOps are introducing real velocity into the software delivery lifecycle – made possible because they demand that functions that once worked in a siloed fashion now work collaboratively, continuously. 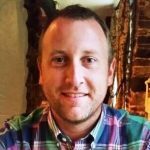 It’s a combination of these techniques, coupled with a desire to engineer quality in early, at the very beginning of the SDLC (sometimes earlier still). All of this can be thought of as Quality Engineering (QE) something that aeroplane and automobile manufacturers have done for a long time – but something that, only now, it’s beginning to take hold in the software delivery domain. On the people side, QE relies on what could be termed the QAs & Testers of the future. These individuals are customer and outcome obsessed – able to interact effectively with a range of business and technology stakeholders to make delivered quality a reality. One of the most important relationships is between the QA/Testing & Development functions which, unfortunately still act in isolation in many cases. Why is integration here important? It relates to the huge role that test automation can play in building transformational SDLC efficiencies. Automation can add value in testing the surface-layers of applications (UI or GUI) but it’s value increases when involved in testing integration points (at the API-layer) and at the unit level – where the biggest opportunity sits to increase speed and avoid nasty surprises later on. But, unless Developers and QA/Test professionals are tightly embedded (as DevOps prescribes) the benefits will be just out of reach. As CIOs – you preside over the businesses employee and customer-facing applications. With much of the work of development and testing has historically taken place in the organisational strata below. At ROQ we believe it’s time to give Quality Engineering a seat at the top table and, over the coming weeks, we’ll be releasing a suite of articles to underpin the importance (and value) of doing so. These articles will be based on real-world success stories, triangulated with the latest industry research and written by our senior Test Architects. We hope that they shine a light on this all important, yet often overlooked area and provide actionable insights to help you drive quality and speed in your respective organisations. This series of articles will culminate in an exclusive event for CIO’s to be held in Central London focusing on Mastering the Art of Digital Disruption. You can register for your free ticket here. I am currently Director for UK & Ireland at ROQ having previously held roles with information technology consultancies in the UK, Europe and the Middle East - working closely with Boards of Directors, CIOs and their teams to make digital transformation a reality. My focus now is on highlighting the strategic importance of software quality in the digital age, publically advocating the ‘shift-left’ agenda and assisting global organisations to deliver real business value via sound testing and QA practices that deliver results, first time around. In my view, this domain area is going to be a huge focus for businesses - especially as software and the information housed within it - is already the beating heart of the digital enterprise, becoming yet more powerful when robots and semi-autonomous machines form a larger part of the workforce. Andrew, a well written and important article, well done! The stand-out phrase for me is “give Quality Engineering a seat at the top table.” This is a constant struggle for us in the Software Quality field. It seems that most execs are still asleep at the wheel as it applies to the critical role of Software Quality and Testing as we venture into a digitised future.